It's the perfect time to plan a spring wedding, and this Spring Garland response card offers a fun and vibrant design to help you spread the cheer. Colorful banners adorn the top with bright shades of yellow and pink to capture the essence of a warm spring day. Choose from your favorite wedding font options to fully customize the look. 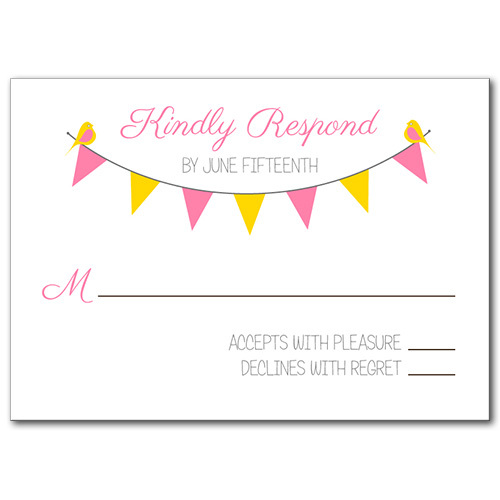 Spring Garland Response Card For the best experience, we recommend personalizing your stationery on a desktop computer.